Price on the train obstacle course please. Our train obstacle course is great fun for the kids. The only thing missing is the conducter! Inside there is an obstacle course and also a slide in the center. This obstacle is enclosed which makes it that much more fun! The variety of colors on the inflatable makes it look just so cool as well. Every child who comes through on the otherside is always smiling cheek to cheek. 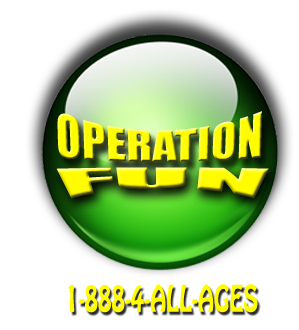 Give us a call here at Operation Fun and we’ll be more than happy to set up your train obstacle course inflatable party rental today.